Gorman was also a talented songwriter, having helped pen two of the best Motown singles to date, the Supremes’ I Want A Guy and the Marvelettes’ rather better-known Please Mr Postman; several sources state that Gorman’s “reward” for his (then-uncredited) songwriting contribution on the latter was this one-off Miracle single. 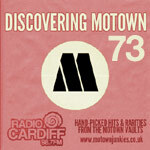 While his working relationship with Brian Holland on the performing side went nowhere, the two struck up a fine songwriting partnership writing material for other Motown artists. The following year, Gorman would draft little-known R&B singer Lamont Dozier into the team, and for a few months the best up-and-coming songwriting team in the Motown empire was Holland-Dozier-Gorman. Strangely, though, for his one and only Motown solo single, Gorman recorded a song he didn’t write himself. Hitsville receptionist Janie Bradford contributes a smart little midtempo R&B dancer, short and sweet (just over two minutes in length), musically reminiscent of Someday, Someway, a Holland-Dozier-Gorman song recorded by the Marvelettes the following year. Gorman doesn’t have the best voice in the world, but he definitely has talent, handling the song with aplomb and a real deep warmth which is immediately likeable. (“Deep” is the right word; he hits some very smooth low notes during the course of the song, such that the liner notes to The Complete Motown Singles: Volume 1 explicitly name-check Brook Benton, and they’re not wrong). The song is a good one, too, getting better as it goes on; some excellent understated verses featuring neat minor-key changes which play to Gorman’s rich, smoky bass-baritone voice. There’s a slightly uncomfortable bit at the one-minute mark, a would-be bridge and middle-eight which takes Freddie out of his range and which he can’t quite hit, but then the whole thing is rescued with a series of melismatic “Mmm-whoa-oh-oh”s before the song lands back in more comfortable territory and Gorman enters the home stretch with infectious confidence. The arrangement gets lusher and fuller as the record goes on, too; the burgeoning “Brianbert” production team of Brian Holland and Robert Bateman turn in a richly-arranged backing track featuring sparse violins, backing vocals and Ondionline organ stabs sketching out where full orchestral string parts would have gone had there been more money to spend. Meanwhile, the band are on exceptionally good form, bass, drums and guitar all locking perfectly into their groove in that home stretch. Indeed, it’s probably the best-sounding of all the Miracle Records singles, something which is really brought home when we get to the ending; Gorman vamps out of the song, repeating I’ll be looking for the day / Don’t make me wait / I’ll be looking for the day / When you come my way as layers and layers of instrumentation and backing vocals carry him across the line and through the final fade. It’s a full-on and fully enjoyable ending to a great little record. For whatever reason, though, it didn’t get anywhere near the charts; released on the unloved Miracle Records imprint, it didn’t receive much promotional push, and it’s possible Motown just didn’t see Gorman as a commercial prospect worth developing. Freddie would have no more Motown singles as a solo turn, and eventually became a forgotten man as a songwriter; unable to quit his job with the Postal Service in the absence of any royalty-spinning hits, he found himself being squeezed out of the Holland-Dozier-Gorman songwriting trio’s all-night work sessions, having to miss more and more of them as Brian and Lamont upped their work rate while he had to go back to his day job; eventually replaced by Brian’s brother Eddie Holland, Freddie ended up drifting away from Motown altogether in the early mid-Sixties. He would wind up at rival label Ric-Tic, where he wrote a couple of minor hit singles (and one big one, (Just Like) Romeo And Juliet, a Top Five smash for the Reflections); however, he always saw performing as his true vocation, and so he also resumed his singing career at Ric-Tic, cutting two fine singles, In A Bad Way and Take Me Back. (The former’s excellent B-side, There Can Be Too Much has also been uploaded by someone to YouTube). As with many failed early Motown singles, Mary Wells ended up covering The Day Will Come as an album cut, this time in a newly-recorded version for her second album, The One Who Really Loves You, in 1962. Unusually, for once Wells’ version is inferior to the original. Freddie Gorman’s Motown story began a strange second chapter when Berry Gordy bought out Ric-Tic in the mid-Sixties, re-acquiring Gorman’s contract in the process. Freddie would go on to be a key member of a new vocal group called the Originals, who would go on to provide backing vocals on a number of Motown’s late-Sixties hits before hooking up with Marvin Gaye and racking up some big-selling hits of their own at the turn of the decade. The first group Freddie sang for was The Quailtones (not Qualitones). They recorded for Josie Records. Lots of well-known Detroit singers were in that group. The Fidelitones included both Brian and Eddie Holland. They recorded for Aladdin Records. Freddie had a great voice. I had the pleasure of knowing him and working with him at Airwave Records in the late 1970s and early 1980s. He is a very nice person. He was a key contributor to the Holland/Bateman/Gorman (extended Brianbert) production team at Motown, which was the best team there before HDH. “Qualitones” was a typo, sorry. Although that is a great name. I didn’t know Eddie was in the Fidelitones too! I’ve never heard their Aladdin record(s? ), unfortunately. I’m very intrigued to, though. Glad to hear Freddie was a nice guy in person, he always came across that way reading his comments in interviews. Thanks for your input, as always! Excuse me? Janie Bradford was more than “just,” a receptionst at Motown Records. Janie was a songwriter before Money That’s What I Want, she wrote songs with Berry Gordy for Jackie Wilson. I could go on and on … Mary Wells “Your Old Stand By,” and she did give Florence Ballard “The List,” to chose the name “Supremes” !! But I do pretty much revere songwriters (which is why I took the somewhat controversial decision to include (and painstakingly categorise) songwriting credits, but not producer credits), and I have the utmost respect for Janie Bradford. Let’s be clear, though – while she wasn’t “just” the Hitsville receptionist, in the same way that Mable John wasn’t “just” Berry Gordy’s occasional chauffeur, or (more pertinently) Freddie Gorman wasn’t “just” a mailman, the fact remains that she was the Hitsville receptionist, and the best known person to occupy that role to boot. I find this a fun bit of trivia, and I drop it in pretty much whenever she’s mentioned, not to denigrate her in any way shape or form (I was actually a receptionist myself for a while, in point of fact) but because… I find it a fun bit of trivia. I don’t know why you thought she was being slighted by me mentioning in passing that she was also the receptionist, as though that somehow precluded her from being a great songwriter or something; I really think you’re reading inferences that just aren’t there. Try singing along to it, Damecia. You’ll probably enjoy it more.